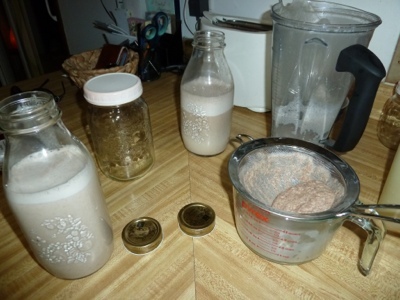 My Home and Garden: Making your own almond milk. Easy! 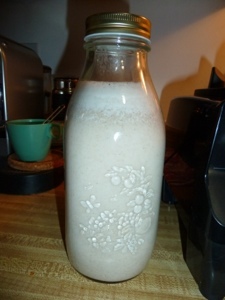 Making your own almond milk is so easy everyone should at least try it. 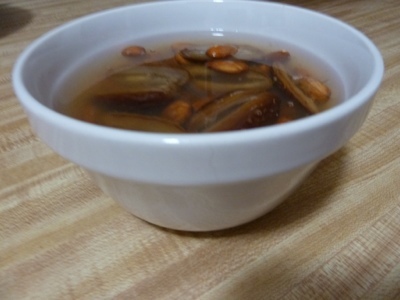 First take about 3/4 cup of almonds and 4 pitted dates and cover them with water. I leave them overnight. In the morning drain the almonds and dates and rinse them. Put them in a powerful blender. I use a Vitamix but Blendtecs work too. Fill the blender with 7-8 cups water. I add a teaspoon of Vanilla Powder and blend. I blend until the water is turning whitish and then I put it into High Speed, or Warp Drive as I call it. Blend it on high for one minute. Some people strain the mixture through a nut bag. I like to have more of the almond and date meal in my milk for the nutrients. I strain the mix through my sieve. It settles in layers so you will need to shake the container each time you use it. You can use the meal that is left in muffins or whatever you like. I keep it in the freezer. This is my recipe, but you can adapt it easily to you own taste. You might want more almonds, less vanilla, dates or no dates. No rules. Enjoy!! I've enjoyed catching up with some posts on your blog. Those muffins sure do look good. It's a damp day here in Ontario but is supposed to get better as the day continues. I'm still picking tomatoes and beans. Off for a family bbq tonight. Enjoy the long weekend.